Antonio Senzatela fell to 1-1 on Saturday versus the Phillies, allowing four runs on seven hits over six innings. 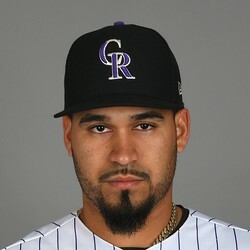 Senzatela struck out three and walked on as the Rockies lost 8-5. The 24-year-old wasn't as sharp as he was in his 2019 debut earlier this week, but that performances came in San Diego where last night's game was in Coors. Senzatela gets a matchup with the Braves next but offers little fantasy intrigue.